When will be Meow Madness next episode air date? Is Meow Madness renewed or cancelled? Where to countdown Meow Madness air dates? Is Meow Madness worth watching? 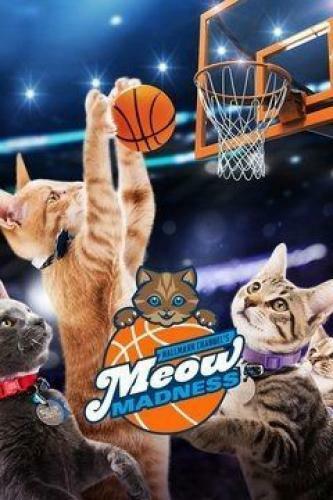 Meow Madness is a Hallmark original annual sporting event with lovable kittens, all shapes, sizes and colors. Buoyed by the success of the Kitten Bowl, the Hallmark Channel is debuting a new show hosted by Beth Stern that will air on Monday, April 3 — the same day as the NCAA men's basketball national championship game. Stern, the wife of radio shock jock Howard Stern, is a huge cat ambassador who works year-round with the North Shore Animal League of America, urging people to spay, neuter and release and adopt pets. The Sterns are foster parents to kittens — a few hundred in all over the last couple years. Beth tries to find permanent homes, but letting go is never easy. "It's the hardest thing in the world to see them go", she said. "I think I've cried over 300 times".The show is staged on a mini basketball court on a midtown Manhattan soundstage. Kittens, with cute names like Meow Ming, Lonso Fur-Ball, Stephen Furry and Meow-Tumbo roamed over the court as well as a faux-Vegas casino area where they could "make bets". Meow Madness next episode air date provides TVMaze for you. EpisoDate.com is your TV show guide to Countdown Meow Madness Episode Air Dates and to stay in touch with Meow Madness next episode Air Date and your others favorite TV Shows. Add the shows you like to a "Watchlist" and let the site take it from there.